Teachers help teach your child so much each day, display patience in a room full of chaos and help shape them to become successful in life. Give them a gift to show your appreciation and let them know you don’t overlook all the hard work they put in each day. 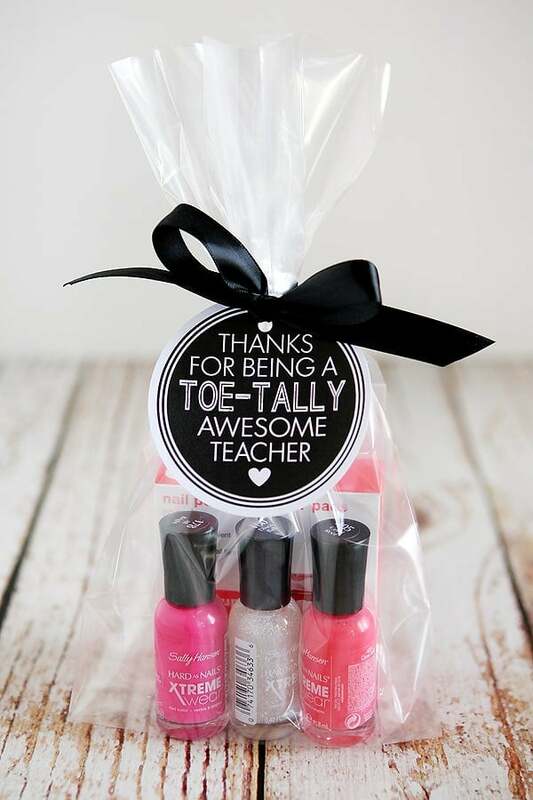 Below are some great diy teacher gifts they will love. 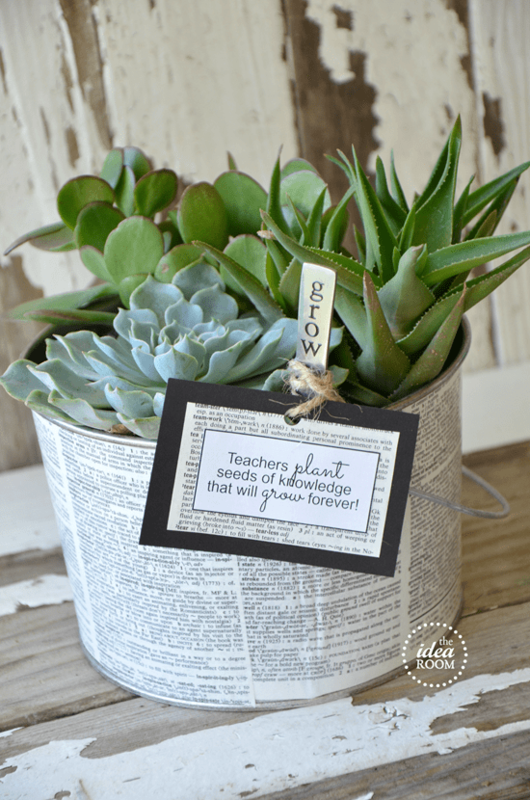 Lisa Storm shares a great teacher gift. You take a tumbler, fill with flavored drink packs or tea like she did, write a message and you have a wonderful and affordable gift. See more here. 36th Avenue created a gift that can be admired all year round. 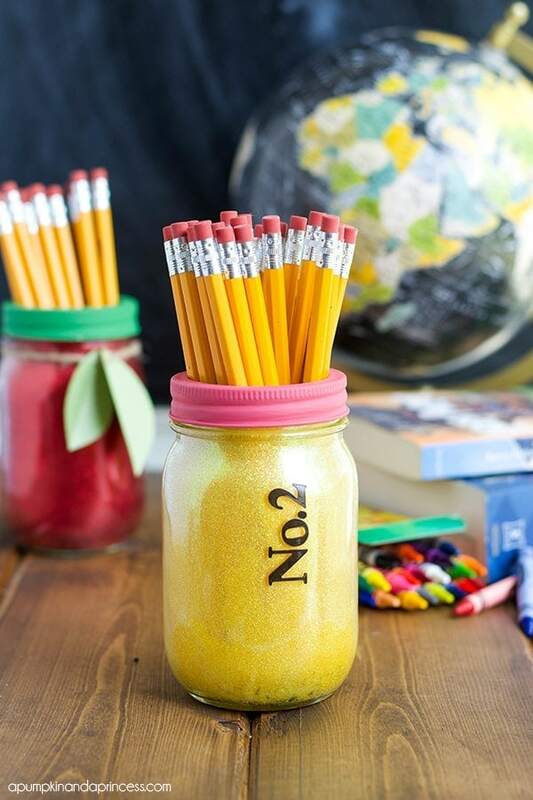 Add some color to a glass jar and transform it into a vase for a great gift for a teacher. Learn to make your own. 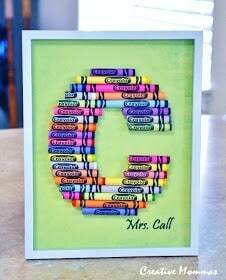 At Creative Mommas, You can take a frame, add colorful paper and crayons to make a one-of-a-kind gift for the teacher. Use their first or last initial for a perfect display piece for their room. Check out how to make one. The Crafting Chicks have a free printable you can print to attach with some pretty string for a perfect gift to say thanks for all they do. A simple gift but so meaningful. Grab the free printable here. 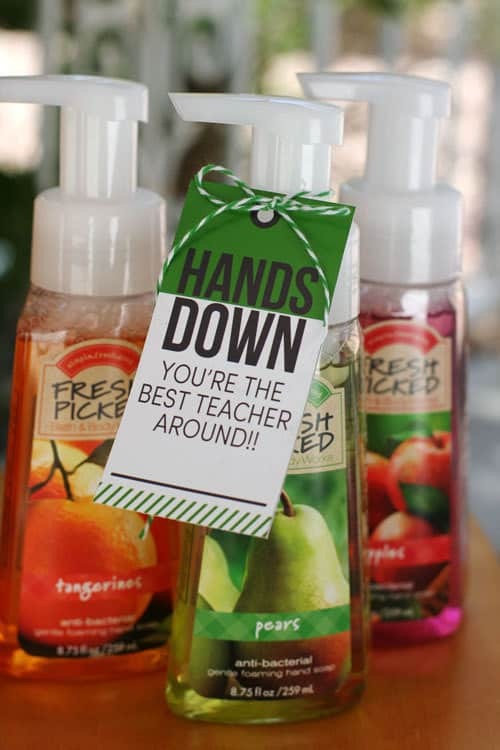 Eighteen 25 shares a gift that will pamper your teacher in a fun way. Print off the free printable they made letting the teacher know how awesome they are. Head over here to do this gift. Crystal at A Pumpkin and A Princess did a great craft that doesn’t take a ton of time but is a very unique and clever gift. I like the idea of using this as a pencil holder on your teacher’s desk. See how to make one. 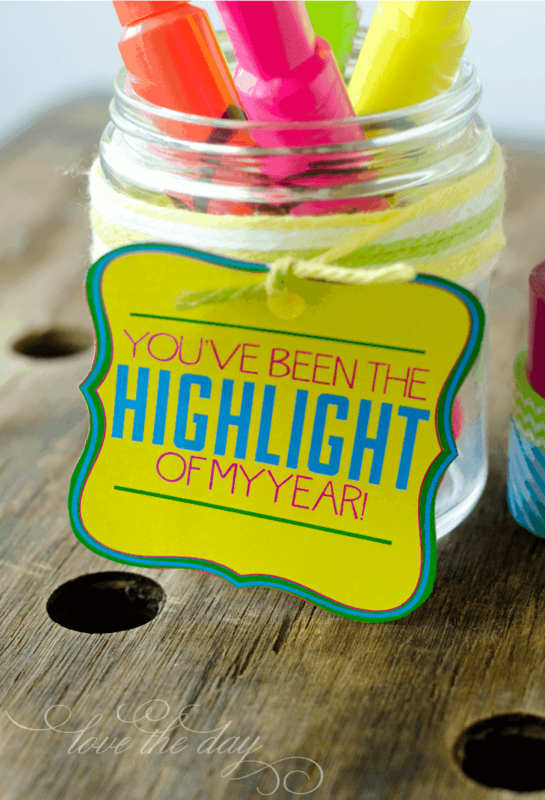 Love the Day adds a clever printable that you can grab for free to attach to some highlighters to make a perfect highlight of my year gift. Budget-friendly and special. Check it out here. 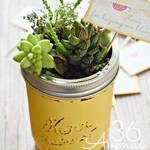 Eighteen 25 has another wonderful diy gift for teachers. It is a hand soap that you attach a “Hands Down” printable too. I love the clever idea they have, and it turned out so well. Make your own today. If you know your teacher enjoys their java, Eighteen 25 is back again with another unique teachers gift. Give a gift with a coffee sleeve and a gift card. Print out the printable for this diy here. 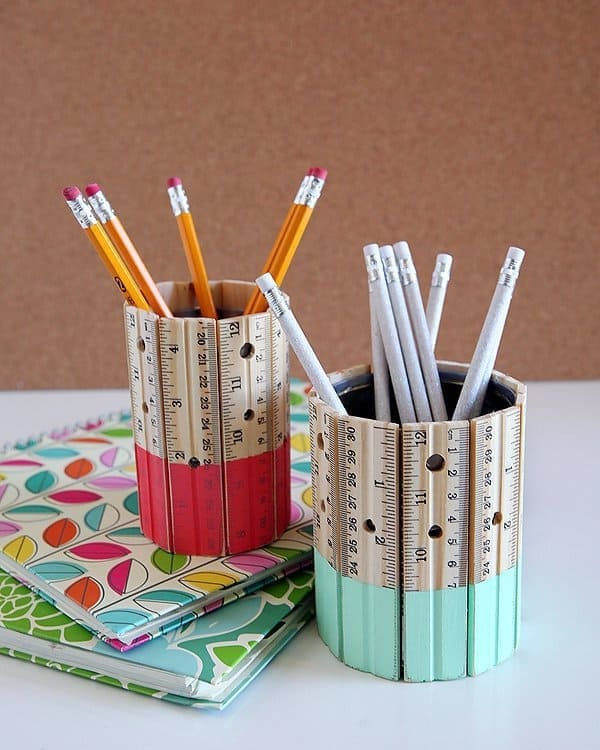 Make shares how they cut down rulers to fit around the jar for a teacher inspired pencil holder. Then added a splash of color to the bottom to dress it up even more. Check out how to make one. 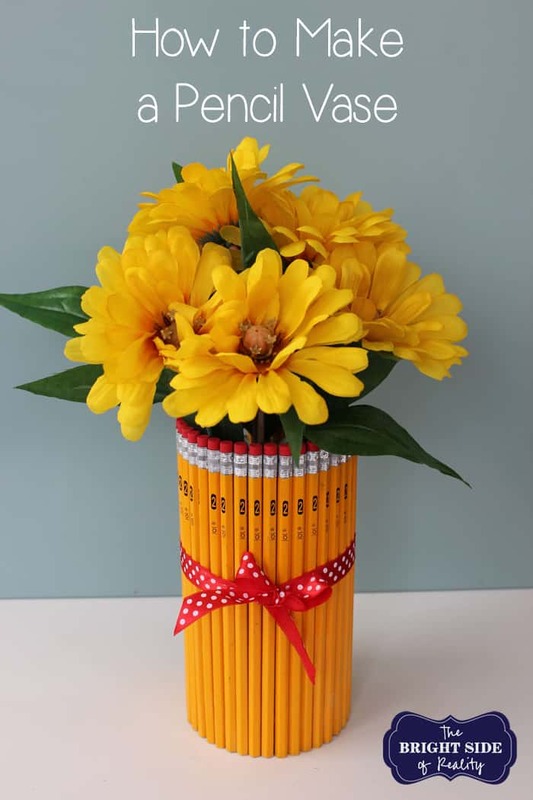 Pick some flowers from your garden or buy a bouquet and put in this pencil flower vase that the Crafty Housewife made. A very simple and easy craft that fits the teaching style. Learn to make your own here. 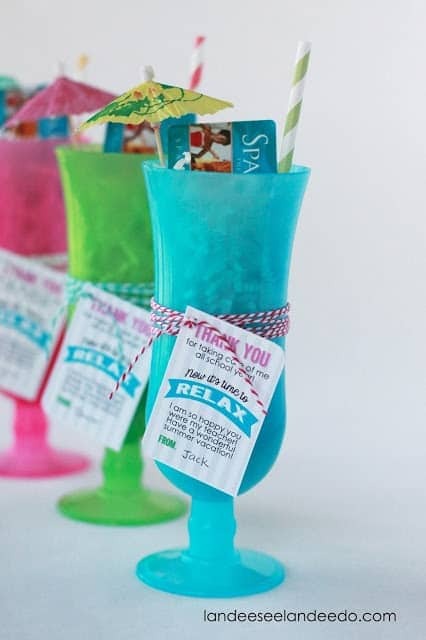 LandeeLu came up with this great idea to let a teacher relax a little after the school year comes to an end or even in the beginning of the school year. I like all the goodies she placed in the fun cup. Check it out here. Cook Craft Love has a very simple but tasty gift idea. 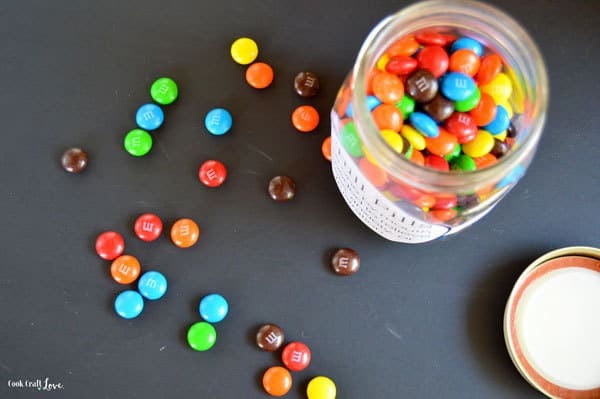 Take a jar add a fun printable label and add in some candies for them to be “chill pills” for the teacher. Head over here for the printable. Who doesn’t love to read when you are a teacher? 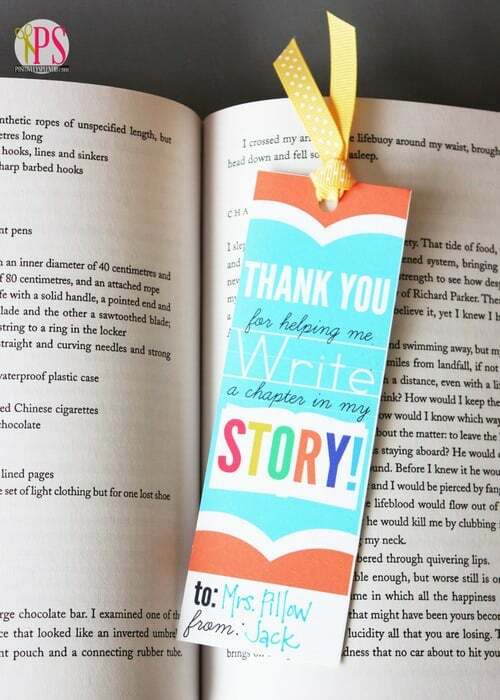 Positively Splendid has a free printable bookmark that you can print off and give as a gift to a teacher or even the librarian to thank them. Go here to print. Eighteen 25 is back again with one more awesome gift. 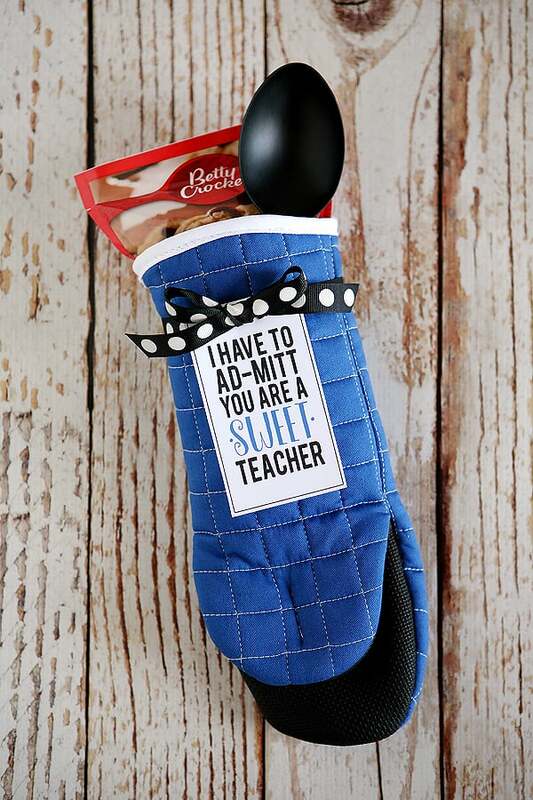 Ad-mitt you are a sweet teacher. Inside the mitt it has goodies to treat your teacher too. See how they made this here. Skip To My Lou wants to thank the teacher for making them feel like a star. 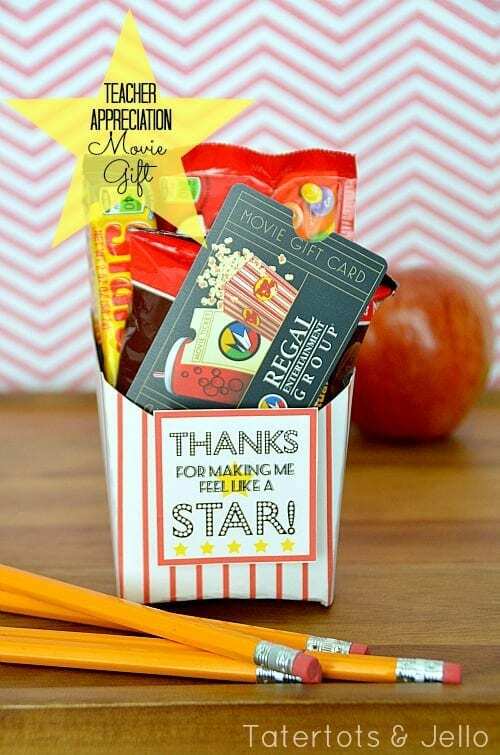 And stars have lots of movie style treats and they created a fun box full of goodies. A very exciting gift to give, to brighten their day. Check it out here. 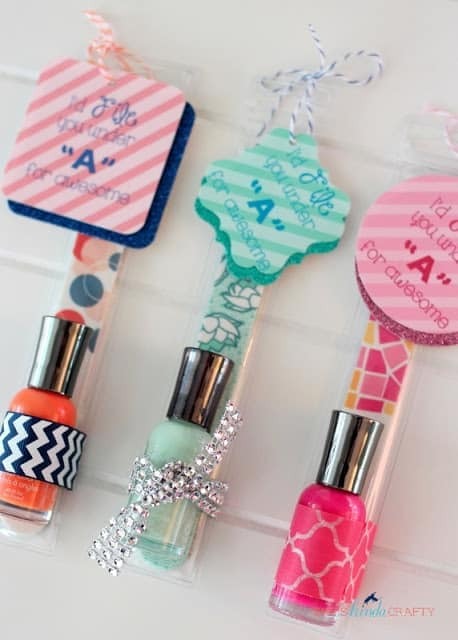 I would file you “hence nail file, and nails” is the idea behind She’s Kinda Crafty created. A gift set of nail polish and other pampering items with a printable that you can print for free. 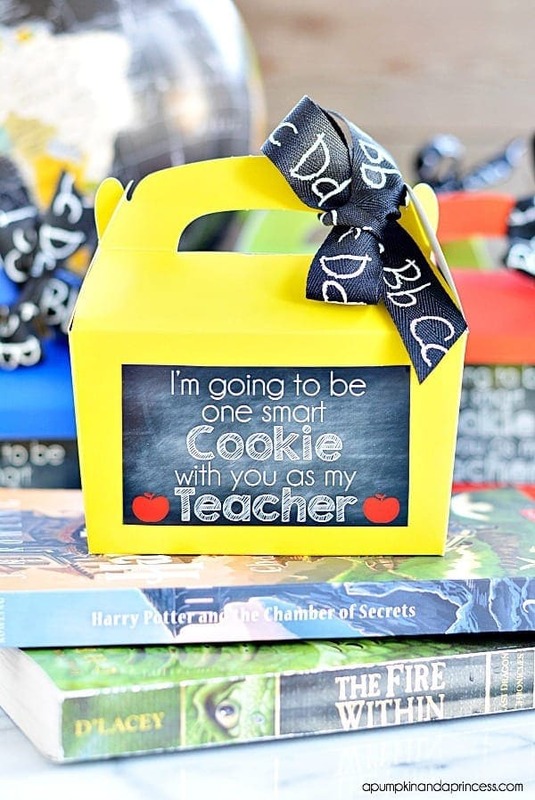 Head over and learn how to make one for that special teacher in your life. 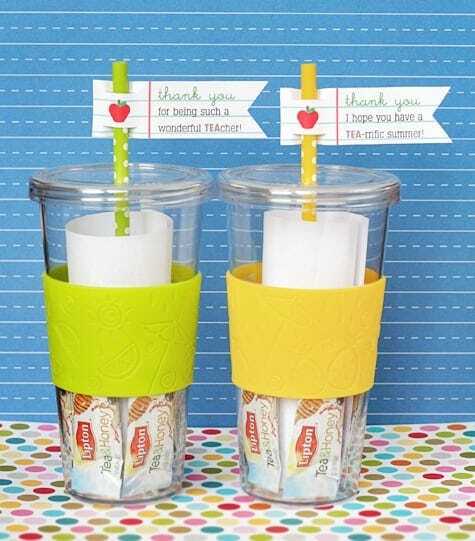 The Ideas Room had a great gift idea for teachers. We all know they help kids learn and grow and this is a perfect gift to really showcase that. Check it out here. 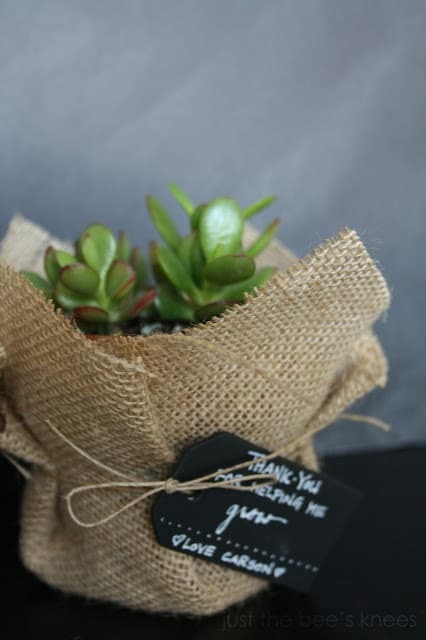 Interiors By Sarah Langtry also has another great plant idea where they wrap burlap and write a note as a simple but kind gesture to give to a teacher. See how they made it. A Pumpkin and A Princess grabbed a little gift box, stuck on a printable and added tasty cookies inside for a very classic gift. I like the whole idea behind it. See how she made it and grab the printable. Craftaholics Anonymous took their old Altoid box and gave it a new purpose. 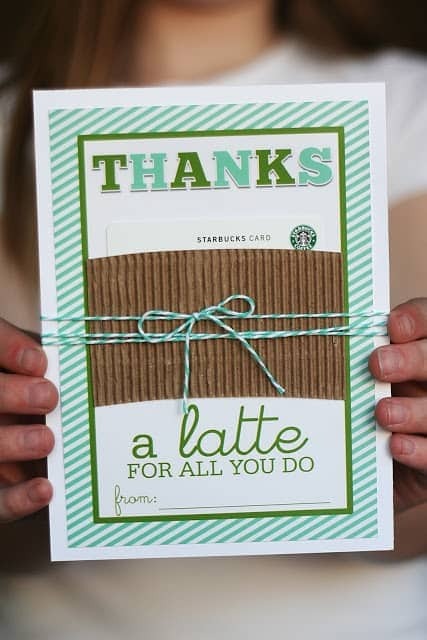 Add some paper and a note to make it look like a gift tin, inside place a gift card. Learn to make your own. 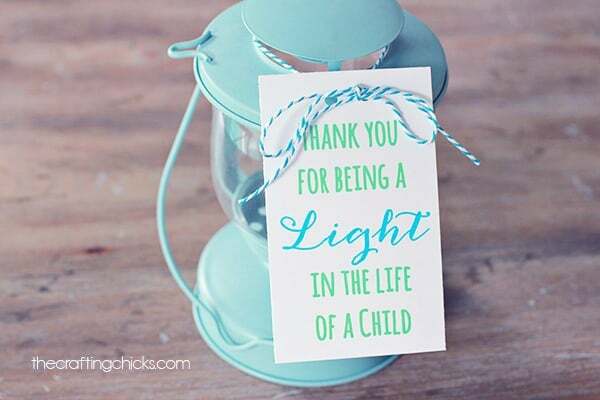 Those are a few of the ideas I found on the internet to help inspire you to create a gift to say thank you to the teacher who is helping shape your child’s future!